You are currently browsing the Suburban Homesteading – Frugal Living blog archives for March, 2010. 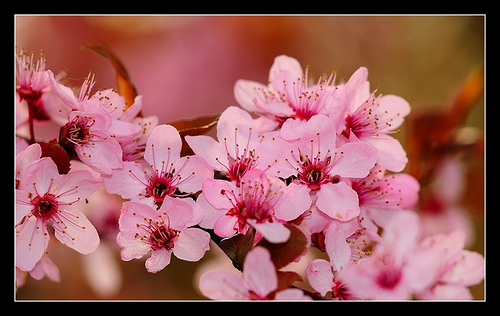 April is the official herald of spring. It’s also the month that our baby chicks and turkeys arrive. The postmaster calls and you can hear the cacophony in the background. No matter how cute and warm and fuzzy chicks (of any kind) are, the post office is eager to have them picked up. But, we are ready, have been ready. The litter-lined box is situated in the sunny corner of the kitchen; the heat lamp is warm; the water font is full and chick starter feed is strewn on the bottom of the box. After a few minute round trip our new charges are home and settling in. It will be weeks before they are old enough or big enough to tackle the outside chicken coop, but for now they are our prime entertainment. •	All veggie beds planted with direct sow seeds like beans, cucumbers, beets, carrots, radishes, lettuces, etc. May is my favorite month of the year, besides October. It’s a time when the flower garden looks its best and the vegetable garden is beginning to take off and show the abundance we will enjoy throughout the summer. It’s also a great time for garden tours and lectures at local nurseries and botanical gardens. Early planted seeds are ready to pick – red, yellow and orange beets, lettuces of all kinds, globe and French radishes are added to evening meals. It’s a time of diligence, a time to watch tender seedlings, plant new seeds and enjoy the rewards of our labors. I’m often accused of spending too much time between the garden and the barn; spending too much time with my hands in gloves and my knees in the dirt. But, I enjoy the work. It’s relaxing and calming with the sun warm on my face and the smell of fresh dirt on my senses. We don’t travel much during June. There’s too much to watch, too much to do. In my Backyard Chickens post I told you all about our little surprise when we returned home from last weekends sheep show – CHICKS!!! – 3 at first, then another five by the next morning. Well, it’s been a few days with no new hatches. I think we are finished. Or should I say the hen is finished. The final tally…drum roll if you please…14!!! Little Frizzle hen still has 5 eggs under her, but I don’t think they are viable. Or maybe it’s hoping, praying actually they’re not. That would make 29 chickens total in a coop that’s built for 12 to 15. A tight squeeze to say the least. All the chicks are nestled in their (enlarged) brooder box in the corner of the kitchen where they are out of the way, but can still be checked often. And, as fate would have it, or dumb luck, my neighbor came calling the other day to ask me about raising chickens. She wanted to get a few from the feed store and had no idea what to do or how to do it, so she stopped by for my help. “Well”, says I, “have I got a deal for you”. When she heard the peeps coming from the kitchen her eyes lit up and she ran over to see them. Needless to say I closed the deal and Fran will be taking 4 of our little darlings as soon as they are old enough to live in a coop. She even offered to buy the next bag of Chick Starter because I’m keeping them so long. What a deal. I must have been on a roll that day. Either that or the chicken God’s were watching over me because I ran into another friend and she was talking about getting more chicks, but the feed store won’t have any until the beginning of April (last year they ordered too early and most of them dies from the cold). I told her about our population explosion and Amy is going to split the remaining 10 with us. Now all I have to do is get Brianne to decide which one’s she wants to keep. That will be a challenge. But, for now we are enjoying our little peepers, watching them scratch and peck and run around the brooder is a sight. Definitely happy birds. Food Labels – What’s in a Name? Food labels contain a wealth of information to help you make informed choices at the market, but they can also be confusing and even misleading. To become better informed about the labeling and certification in your food choices read the meaning of each label below or visit their website. Better yet, ask the produce manager or the farmer where your food comes from and how it is grown. Local – There are no consistent standards for use of the term, which may refer to a region, a state or the immediate ridgeline or watershed. It may also be applied to products that are made locally but of imported ingredients (chocolates, cheese, pastries, locally roasted coffee). Organic – Certified by the US Department of Agriculture (www.usda.gov, www.ccof.org) to meet standards that disallow the use of most conventional pesticides, genetic engineering, and routine use of antibiotics and growth hormones in livestock. Sustainable – “Sustainable food” certification programs address an array of social and environmental issues that go beyond “organic,” including safe and fair working conditions, healthy and humane care for livestock, reduced pesticide use, reduced water and non-renewable energy use, and enhanced soil health. 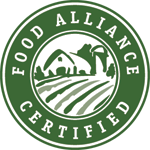 Visit the Food Alliance (www.foodalliance.org) and Scientific Certification Systems (www.scscertified.com) to learn more. Fair Trade – Fair trade partnerships seek to offer better trading conditions to, and secure the rights of, marginalized producers and workers, especially in developing countries. Certification by the Fair Trade Labeling Organizations International (www.fairtrade.net) guarantees that a producer’s fair trade claims have been independently audited and verified. Fair Labor – Criteria includes hiring and employment practices, safe workplace conditions, workers right to organize, worker housing, child labor, and access to health, education and transportation services. Currently two organizations certify safe and fair ag practices in the United States: www.scscertified.com and www.safeagemployment.org. Clean – Foods certified by organizations like Scientific Certification Systems (www.scscertified) to have met voluntary standards in one or more areas of potential concern, including pesticide residues, food pathogens, industrial contaminations and heavy metals, and food safety procedures and practices throughout the food supply chain. 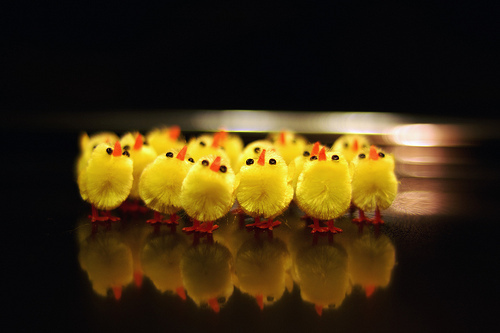 When I was about 8 or 9-years old my family bought their first batch of day old chicks. 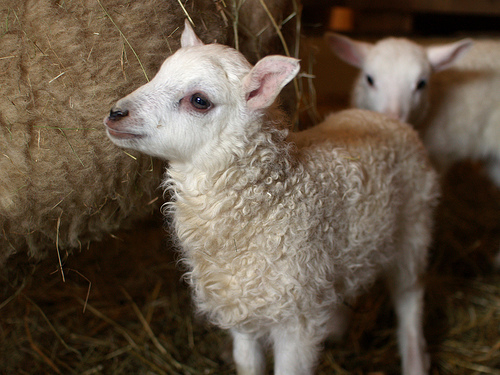 They were delivered by parcel post and lived in a cardboard box brooder in our family room for the first month. Before they arrived we had built the coop, fenced in an outside pen area, set the water fonts, made feeders from scrap lumber and bought enough chicken feed to last a month. Over the years I have raised hundreds of chickens in dozens of breeds and enjoyed every one of them. I am always amazed at how much information is out there about raising this docile, versatile, homestead mainstay. When my daughter first started raising poultry in her 4-H project, we once again, combed the internet for resources that were up-to-date as well as kid friendly. And we weren’t disappointed. 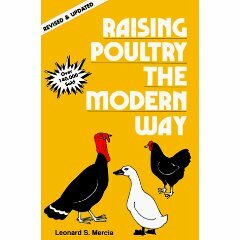 Sites like BackyardChickens.com and Feathersite.com are great resources for anyone thinking about getting a few hens. It has free information, a downloadable care guide, images, a forum, questions and more. It’s for new chicken people, poultry lovers and gawkers alike. 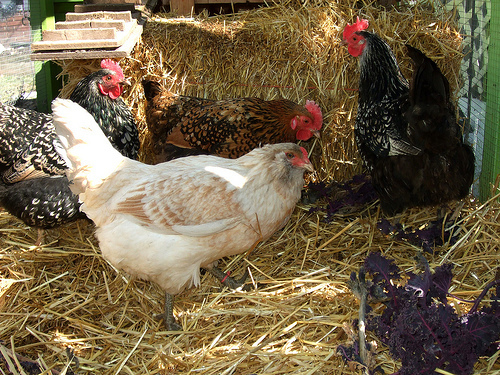 Most towns and cities now allow backyard chickens as long as they are hens and are in a confined area. Chickens are easy to raise and as long as they are given a place to nest at night they are quite content. They don’t require fancy digs that cost a lot of money. A friend of mine houses her hens in an old outhouse and lets them out during the day. 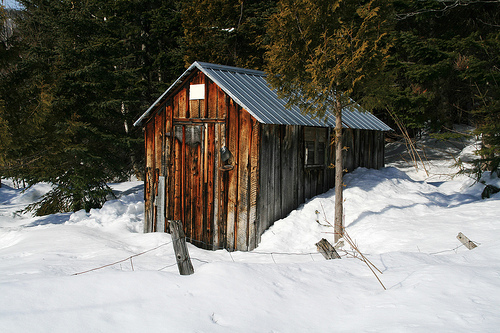 The coop at my first house was an old wooden tool shed with an outside fenced area. Today, things haven’t changed much. My coop is still simple, well-built, has enough room for a growing flock (which we need given our current hatch) and gives the girls plenty of room to roam. As for our surprise! We have 8 chicks hatched, with more on the way. They are all snuggly warm, nestled in our brooder box in the corner of the kitchen. Man, this is fun!! Boy oh boy, what a weekend we’ve had. In the past few days we drove north to a junior livestock show (Brianne placed first in her class and competed for champion), spent a long wonderful day visiting with other livestock showing friends, had a late dinner with a sheep breeder friend, looked at potential candidates for our county fair, and came home to a new batch of CHICKS! Life on a farm, no matter what the size, goes on about its business with or without you. I’m recouping from the weekend’s non-stop pace, I’ll fill you in on it all… but tonight I am barely standing up. We got home around 3PM, and started to get the lambs settled back in the barn when I heard the tell tale peeps of newly hatched chicks. When Brianne checked, sure enough our little Frizzle hen was guarding three day old chicks and two more were pipping through their shells. We quickly set up our brooder with heat lamp, feed and water and brought the new chicks into the kitchen. We’ll see how many new one’s we have tomorrow. To add insult to injury: this afternoon I ran around and watered newly planted seeds in mini-greenhouses, washed show blankets and towels, filled feed barrels and still managed to make dinner from scratch. I feel like I’ve been hit by a truck (or is that a farm). It’s time to sleep. I am beat! Before I go… I want to wish everyone a happy spring equinox. Life with longer days and warmer weather is eagerly awaited. I saw this article in yesterday’s Personal Journal section of the WSJ, touting the increase in new home garden enthusiasts. To read the entire article and get advice from seasoned Master Gardeners click here. Grocery store shopping cards have been around for more than 10-years. 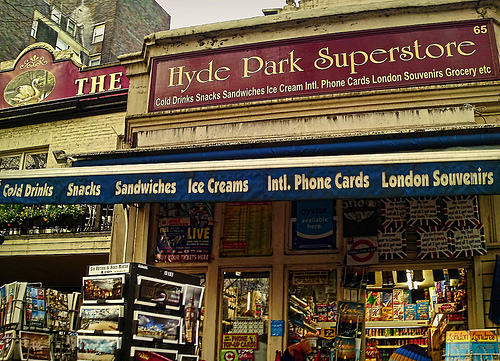 They offer deep discounts on groceries and special purchases. They enable stores and government agencies to track back to the source of food bourne diseases, which is a good thing. But, with all this tracking and data storage, what is the hidden cost of “someone” knowing what we buy on a weekly basis? Decide for yourself if you want “someone” knowing how many pounds of apples you buy or how often you stock up on canned goods by reading the article here. I was asked once, how my suburban homestead runs throughout the year. When I first began, I had an annual calendar so I could schedule major farming activities like ordering chicks or planting pumpkins or when DD’s sheep shows were. I never leave anything up to me remembering. Over the years, and with a comfort of the “seasons” of our homestead, I’ve been able to use a monthly calendar. But, we still book sheep shows months in advance, post school events, holidays and ½ days and of course the arrival of baby chicks! This is a look into our homesteading life. My suburban homestead is at rest in the winter, not frozen like some areas of the country, but at rest all the same; soaking up nourishment from a steady stream of rain storms that float overhead and a new layer of mulch, warm and thick. But, the gardener in me is not at rest. All during the holiday season my mailbox is filled to overflowing with catalogues of all kinds. Each one announcing the newest, the biggest, the best or the most unusual in seeds, transplants, berries, fruit trees and bulbs. My mind races with all the possibilities. My modest garden layouts explode into grandiose dreams of “what could be”. But, being the sensible person that I am, I stop myself, take a deep breath and reexamine my overall homestead layout. Yes, there will be room for new varieties of seasonal vegetables, maybe even a few new berry bushes here and there, but mine is a suburban homestead bounded in size by block walls and property lines. Restraint is the key. If weather permits, outdoor chores begin in earnest in February. The longer days, with weak rays of sun still shining at 6:00 P.M., are a welcome sight. I am able to walk around the homestead during this dusky time and take note of projects that need to be done. I may even stop and trim a few broken branches or berry bushes along the way. I check the trellises and arbors for storm damage; fencing that has come loose from their posts during the winds and garden borders that have broken or fallen over. February is a time for “getting ready” – for the gardening to come. I have fond childhood memories of March days spent with my dad planting seeds indoors. We would use half-pint milk cartons, collected from school, to start seeds of larger plants like tomatoes, peppers, cucumbers, squash and pumpkins. I can still remember looking through racks and racks of plants at our kitchen window as they reached for the sun. Today, my seed starting is not quite so “elementary”. I use flats of seed cells, recycled pony packs and individual pots. But, the results are the same – a jumpstart on the growing season. 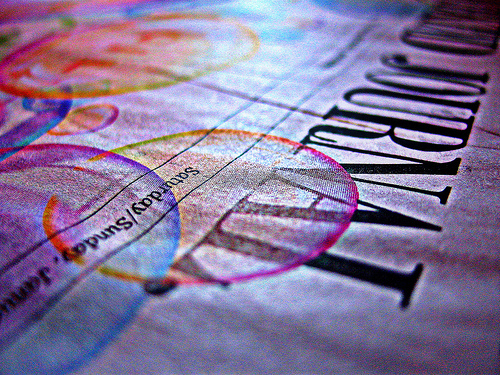 FRESH is a grassroots efforts for a grassroots movement. The movie is a platform to raise awareness and connecting people to the solutions available in their community. The objective is to make sustainable food no longer a niche market. You can view more video here. That sunny day I was wishing for turned out to be just a pipe dream. I woke up yesterday morning to rain. Not a huge storm, mind you, but enough to throw me off my outdoor schedule and dampen my spirits. It was a slap in the face. A wake up call that winter, even in California, is not over yet. Welcome to March! I was outside assessing the storm damage (thankfully none) and checking on the chickens when I got a call from my friend and fellow 4-H leader. One of our club members had ordered their batch of turkey pullets for our county fair in August. The family didn’t want all 25 birds and was polling other club members to see if we could take some off their hands. While Sandy and I chatted for a while I could see, in my minds eye, turkey tracks across freshly tilled garden soil, a parade of them as they scoured the garden for grubs and bugs and treats of spent lettuce. I was surprised how nostalgic it made me for raising turkeys, something I never thought I’d miss. But, raising poultry here on the farm and seeing them through to dinner tables or holiday gatherings is one of the most rewarding experiences I’ve had as a small suburban farmer. I haven’t raised turkeys in a while, but I want a small flock of them again. I think Midget Whites this time. Or maybe even the Broad-Breasted White raised up to 12 or 15 pounds. If my family won’t dine on them there are plenty of folks around looking for a naturally raised, free-range bird come holiday time. It’s something to think about for small suburban farmers. Compact, easy to care for, with manageable space requirements. Unlike sheep or gardens, birds don’t need the capital and fences up front like a flock of ewes would. 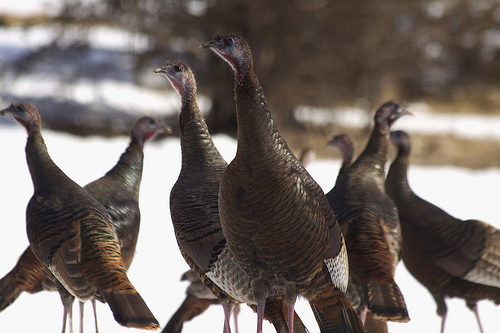 Ten turkeys could be raised for the price of one registered sheep and the cash from selling the birds at Thanksgiving could be put toward improvements or other homestead operations. It’s time to start planning for the future, folks; of a working homestead and not just a personal supermarket. To read more about raising turkeys on your suburban homestead check out these helpful resources.